Well yes, but think about that for a second. Almost every single medical and pharmaceutical trial has to be compared to a placebo, because the placebo effect is so strong. A person’s “belief” that a pill will cure a headache, cure a skin condition, make them happy, make them drunk, whatever – can do exactly that. An unconscious belief system so strong, that it affects the mind and body in a powerful way. Now how did that unconscious belief get put there? By a scientist in a white coat saying it’s so. That’s all it took! authority + suggestion + expectancy. That right there is a great example of hypnosis at work. You might have seen people doing strange things in hypnosis, and thought “ah, they’re just playing along”. 1) Focusing on a hallucination of a hand mirror that didn’t exist. The hynotized subject focused at an empty space above where their hand was holding the supposed mirror. Try doing this – focusing above your hand, without allowing your focus to settle on the wall behind it. Its actually pretty difficult to get right first time, especially when you don’t know what you’re doing. 2) Sudden tears at a sad memory. In a state of hypnosis, it was suggested to the subject that a sad memory would suddenly emerge. Within seconds, tears were running down the cheeks. Try and make yourself cry this quickly! Its pretty impossible. Remember, these weren’t trained actors, just ordinary people without any preparation at all. 3) Complete fear at the sight of a levitating doll. Having suggested I was invisible, I lifted a doll in the air. The response from the subject wasn’t an “acted” state of surprise or shock – a kind of “oh ok, that would be pretty freaky I guess”. They went pale, were absolutely terrified, then ran out of the room. Again, pretty difficult to “act” going pale. Also… there is a century of research, EEG support, neuroscientific evidence of a hypnotic state, and millions of studies showing the placebo effect. I won’t say “there’s a whole industry based on it” because that doesn’t mean anything at all. 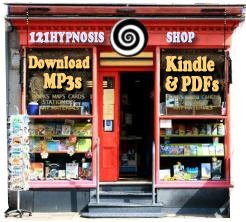 In fact its the industry, the “relaxotherapists” and whack examples from stage hypnosis that have made people completely overlook hypnosis or at the least be pretty confused by it. Which is a shame, because as you can learn from this site, its an incredibly powerful, useful and natural phenomenon of the mind which you really should be taking advantage of. "I Don't Believe in Hypnosis... But I'm Afraid Of It"
Compliance - is it Hypnosis, or just being nice?